8th October 2016 3:00pm – 9:00pm will see the Albert Waterways Community Centre, Broadbeach host the 2016 Gold Coast Folk Festival. The festival is family friendly with a covered venue with great food, coffee and a bar. The festival features roots, bluegrass, buskers and bush dancing. Some of this year’s artists include Bobby Alu, Leopold’s Treat, Owl Valley, Stone the Crows Bush Dance and more. Bobby Alu is an award-winning songwriter and effortless baritone ukulele player with a smooth and silky voice that slides past a warm smile. He plays drums like an animal and lives a life of sharing his passion and talent. For the last seven years Bobby has groomed his hammock music style touring the world, most recently on a-30 date tour around Europe, Hawaii and New Zealand, both as the drummer for Xavier Rudd, and as the solo opening act for the tour. Leopold’s Treat describe their music as ‘experimental acoustic folk‘, seeing dynamic rhythms intertwined with emotive slide guitar and bright acoustic melodies. Their uniquely energizing, inspiring and connected live show is a delight for all eyes to see. Kate Leopold up front delivers powerful vocals that are at times reflective or energizing and somewhat soothing. They recently received ‘Emerging Artist of the Year’ in the Gold Coast Music Awards, and are pretty excited about that. The Owl Valley Bluegrass Band is a popular up tempo local group of highly skilled Bluegrass musicians. 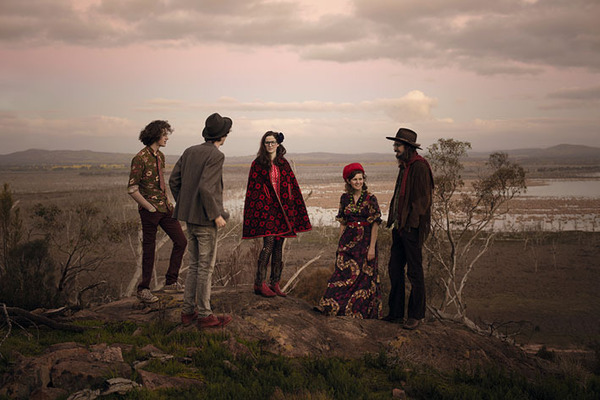 Owl Valley has been together since 2012 but each of the five members have played in various festivals and events up and down the East Coast of Australia for over 20 years. If you like American Bluegrass, Earl Scruggs, Lester Flat, Bill Monroe & Doc Watson, you will love Owl Valley’s blend of banjo, mandolin. Double bass, blues harp and flat picking guitar. Stone the Crows is a well-known Brisbane based Bush Band that have been calling Bush Dances and playing Folk music since 1988. Their repertoire includes traditional Australian songs and tunes with traditional instruments such as fiddle, banjo, mandolin and whistle, mixed with bluegrass music. Join in the fun of the Bush Dancing and try your hand at the Heel and Toe Polka, The Drongo, Strip the Willow, Stockyards and many others. 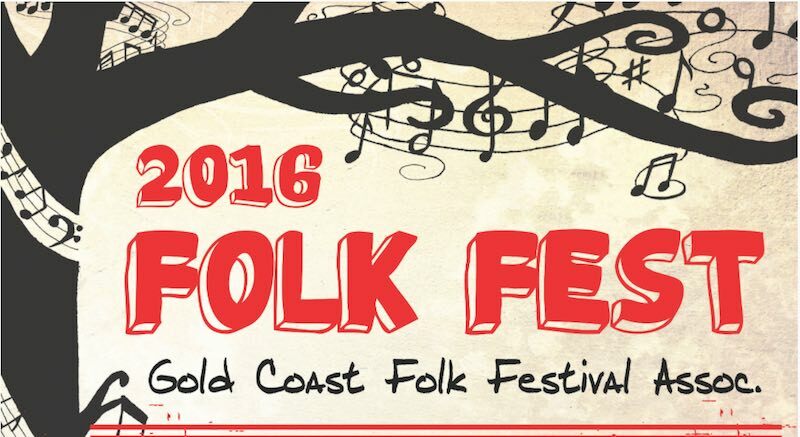 Folk Fest was a finalist in the 2015 Gold Coast Music Awards Event of the Year. The Gold Coast Acoustic Music Club is calling for applications from performers, stall holders and volunteers for their 2016 Gold Coast Folk Festival. The Gold Coast Folk Festival is scheduled for 8th October from 3:00pm and held at the Albert Waterways Community Centre is Broadbeach Qld. While there is very little information available at this stage, performers and other applications can be found on their website. Gold Coast Music Awards “Music Event of the Year” finalist, Gold Coast Folk Fest, is on again in 2015 at Country Paradise Parklands Nerang 19-20 September. The festival features over 30 local, regional and national bands playing acoustic roots, folk, blues and bluegrass plus workshops, jam sessions, buskers, markets and food stalls. Headlining the 2015 festival is the popular Perch Creek Jug Band, following on from their successful Canadian tour, plus popular local band The Lamplights. The Program also includes Women in Docs, Ewan Mackenzie, Owl Valley Bluegrass, Out of Abingdon, the Pitts Family Circus, Mat Brooker and RedCrow, Quatro, Felicity Lawless, Black Rabbit George, Kiara jack plus many more. The full program is available here. The laid back rural setting caters for all-weather conditions with 3 stages playing continuous music over the weekend. Entry to the markets is free and on-line tickets to the main events are just $22. Book on line before September to save 25% and be in the draw to win a new Maton guitar. Folk Fest is hosted by Coast Acoustics and proudly sponsored by the City of Gold Coast, Tourism and Events Queensland, Guitar World Nerang and Maton Guitars. See www.goldcoastfolkfestival.com.au for all the details. Preparation for the 3rd Annual Coast Acoustics Festival is well underway. The date is set for 17-18 September at the Broadwater Parklands. To date the organisers have received 50 applications from performers so far offering to play and run workshops. Festival organisers are seeking your help. The festival has all the makings of becoming a significant event on the Coast. Not only will it provide a great weekend of music and workshops, it has the potential to take off and give the club a huge boost. Here’s an opportunity for members to be a part of Gold Coast history by joining the festival sub-committee to make sure everything runs smoothly. Planning and running an event like this is very exciting. There is work to do and we need people to help out . You will need to be prepared to attend 3-4 meetings and set aside a couple of hours a month plus help out at the festival itself. In return you get a cup of coffee and a nice feeling inside. Festival committee jobs include organising sound, MC, stages, marquees, promotions and marketing, programs, mail outs, stalls, stage coordination, coffee and food vans, sausage sizzle, membership drive, transport, marshaling, bump in and out. If you would like to be part of the festival, please send an email to balyana@bigpond.com or phone Rob on 0240861911. Due to the popularity of the acoustic jam nights, Coast Acoustics now brings you jam sessions every second Tuesday night. Last month the jam included about 20 musicians all of whom joined in with guitars, banjos, fiddles, harps and mandolins, singing along to everything from Hank Williams to the Beatles. The next jam nights will be 1st and 15th of March 6.30 to 9pm at All Sports, Nerang. The second Gold Coast Acoustic Music Festival was held at Glennon Park Nerang on the 18th and 19th September this year. Numbers were almost double that of last year. The line up featured artists from as far away as Victoria, Tasmania, Far North Queensland and Canada. Melbourne based Coolgrass made musical mischief as usual, keeping everyone in stitches with their bent bluegrass versions of tunes from Mozart to Queen. The Stetson Family, also from Melbourne, dug deep into their bluegrass, folk and country background. From Canada, Phyllis Sinclair sang heartfelt songs inspired by fishers and indigenous stories from her country. Daniel Champagne delivered an impressive one man show demonstration energy and capability beyond his years. From Ireland, Mick McHugh’s uplifting lyrics and trusty harmonica captivated his audience with songs and stories in true balladeer spirit. The Brisbane Ukulele Music Society (BUMS) were a real hit with a dozen uke players doing Nutbush City Limits. Cheynne Murphy and Karl Farren were favourites from Northern NSW. From Port Douglas, the dynamic duo of Bryce and Mahney from the Hillbillygoats teamed up with Dave Luxmoore and others to combine bluegrass with rock n roll favourites. Locals Tracey and Rob Davis had the whole family on stage including 15 year old twins Robbie and Dylan. Other local bands included Steve Carter, Mark Cryle and the Redeemers, Bushfire and Balyana. Music workshops were also a feature of the weekend with guitar and mandolin workshops was led by members of Coolgrass, the banjo workshop by Tim Saunders from Seagrass (Tas) and fiddle by Dave Luxmoore from Bushfire. Karl Farren’s song writing workshop was particularly popular. The jam sessions were great and the open mic sessions filled up quickly on Sunday afternoon, providing a great opportunity for a jam with the guest artists. Thanks again for having me at Coast Acoustics. As always, I was made to feel very welcome. I had fun, especially with a great group of people in the workshop. As someone who has been running a similar monthly venue to yours, I understand how much time and energy it takes for you guys to put on an event like this. I appreciate your support, and I wish you all the best – Karl Farren. We really enjoyed the scene and caught some great acts…you do a great job – Cheynne Murphy. Thanks for creating a great space for artist, I loved the gig, had a great time with your audience. Great success for the festival i would say, and fantastic artist line up – Mick McHugh. Thanks to you and the team for organising the event on the weekend. We had fun – Mark Cryle. What a wonderful, intimate and friendly festival you have. It was my pleasure performing at the Coast Acoustic Festival. Thank you for having me – Phyllis Sinclair. 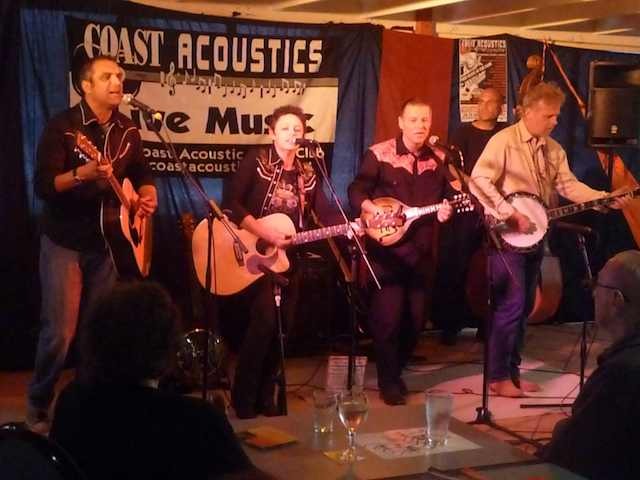 Performer applications for the 2011 festival are now available for download from the Coast Acoustics Website. 18th – 19th September 2010. This coming weekend will see the Gold Coast Acoustic Music Club host their 2nd Acoustic Music Festival to be held at Glennon Park in Nerang, Qld. Saturday concert features Mick McHugh, the Stetson Family, Tracey Davis, Mark Cryle and the Redeemers, Hillbillygoats and Coolgrass. Sunday workshops will focus on banjo, guitar, mandolin, fiddle, song writing. Sunday concert includes Coolgrass, Daniel Champagne, Phyllis Sinclair, Karl Farren, BUMS, Cheynne Murphy, Steve Carter, Balyana and Bushfire. Festival organisers also have a guitar on offer for one lucky winner, where all paid up members from July this year are eligible to be in the draw. Register with Robyn and Jenny at reception. The guitar will be drawn at 3.00pm Sunday 19th Sept. at Glennon Park by Cr Bob Lacastra. You must be present to win and you may join up here. The festival also offers the opportunity to take home or off-load some treasures with a Sell Swap and Buy session on the Sunday from 1:00pm. All festival volunteers are invited to a social night at All Sports Tuesday 14 September.Â Entertainment starts at 7.00pm.